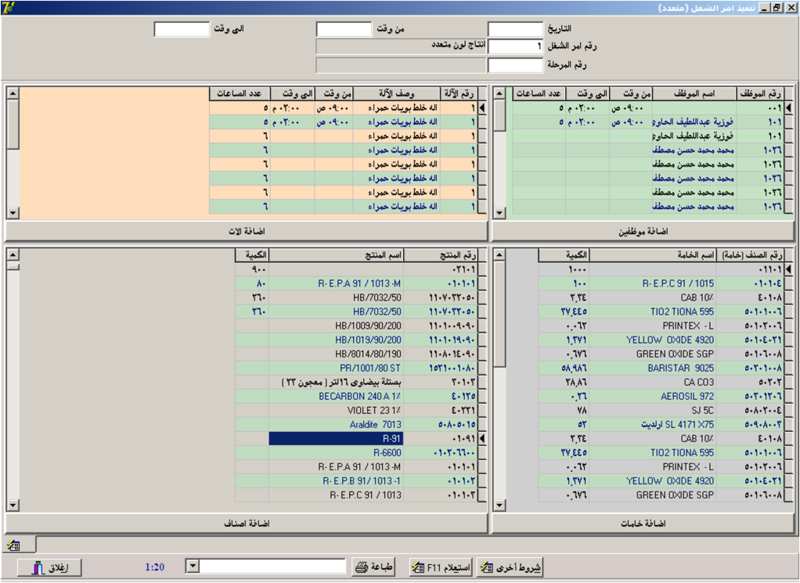 Decide the structures or main items to be produced in a certain period , the plan period. Query about implementation stages, employee, working hours, implementation date and quantity and machine working hours. 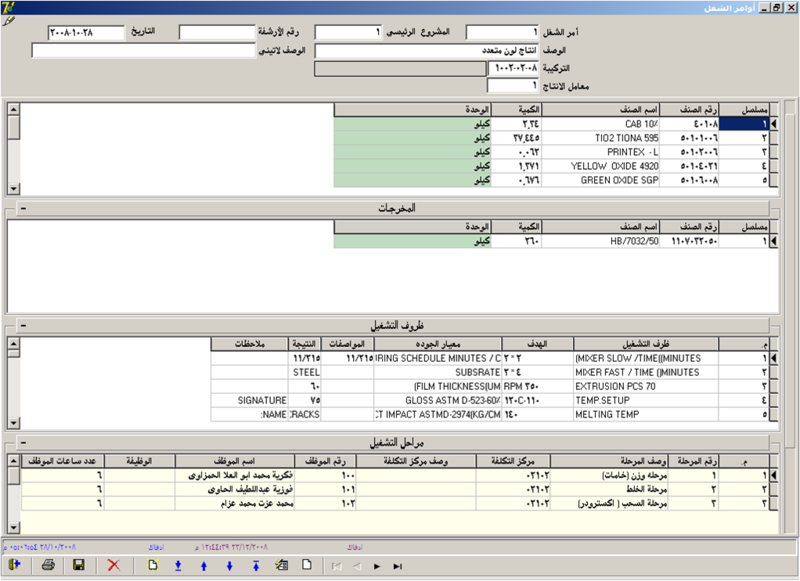 Pursuing job orders motion and analyzing at the level of time, products, materials, machinery and workers. 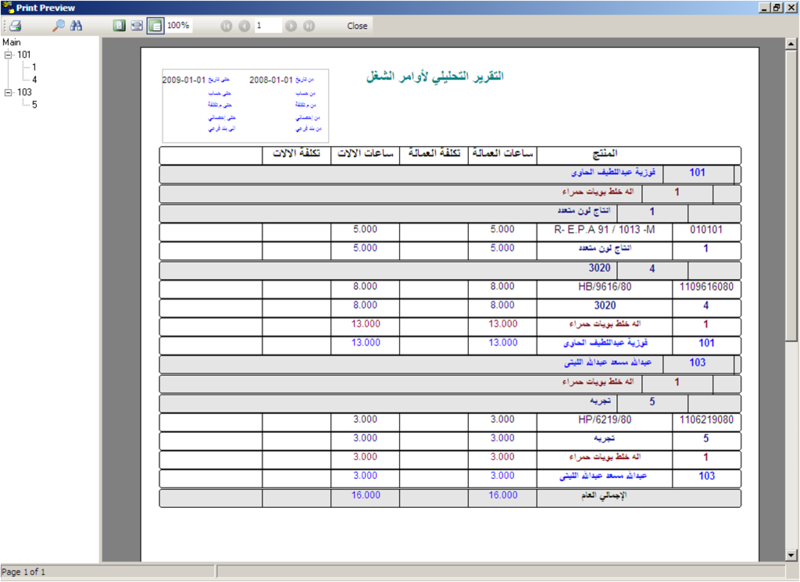 Check elements to decide validity , source and all relevant data. 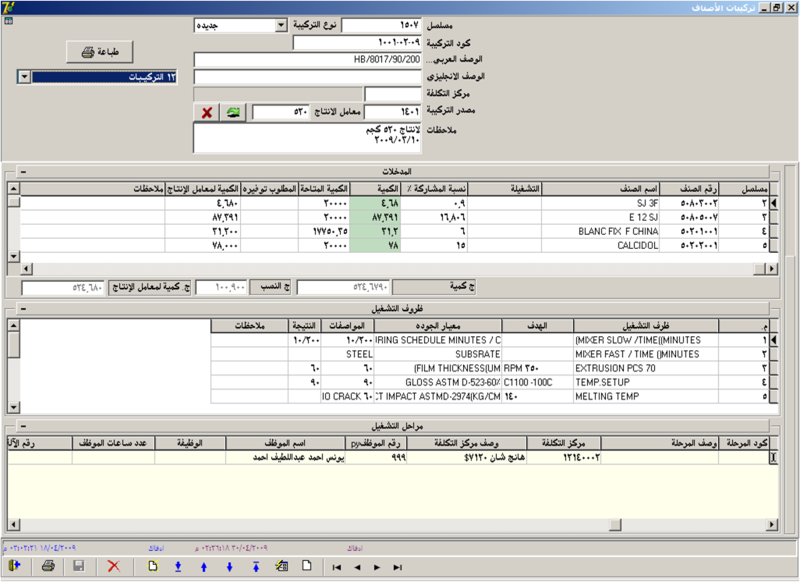 Recording labors time schedules and working hours for each worker. Enter the items, suppliers and stock. 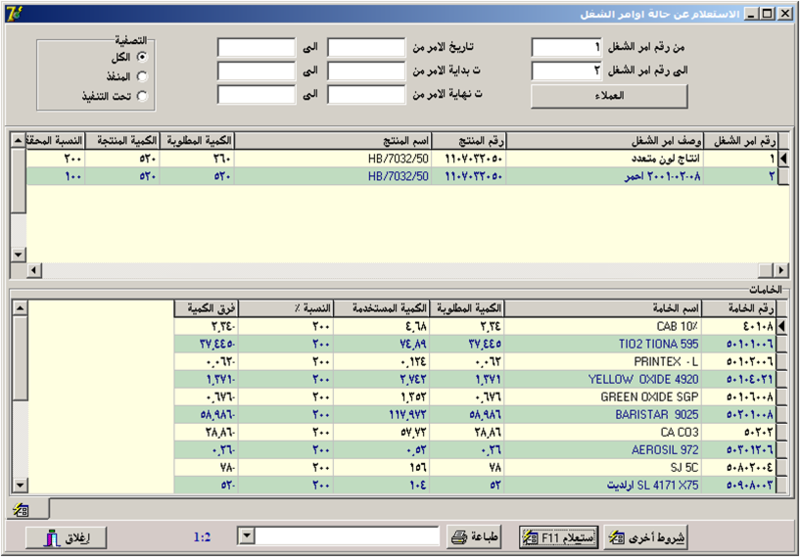 The system calculates the in-stock items, the item balances an d suppliers and their balances. Recording accounts, fixed assets, item depreciation, accounts payable and accounts receivable, production cost, accounts balances and cash transactions. 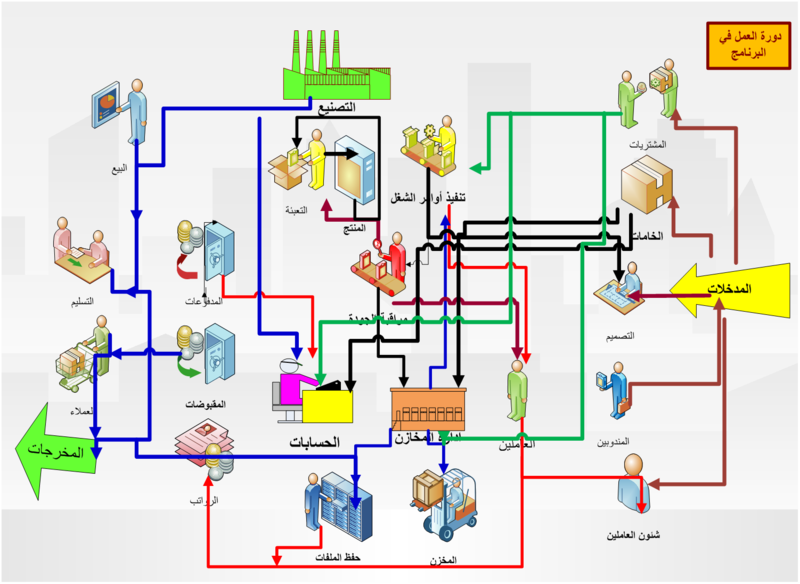 The system facilitate creating schematic budgets which presents forming a certain product in all elements so that the system can recall prices from other applications like store accounting application, salaries application and general accounting application. The expected costs are defined before production with the possibility of transforming budget into price offer and printing it. 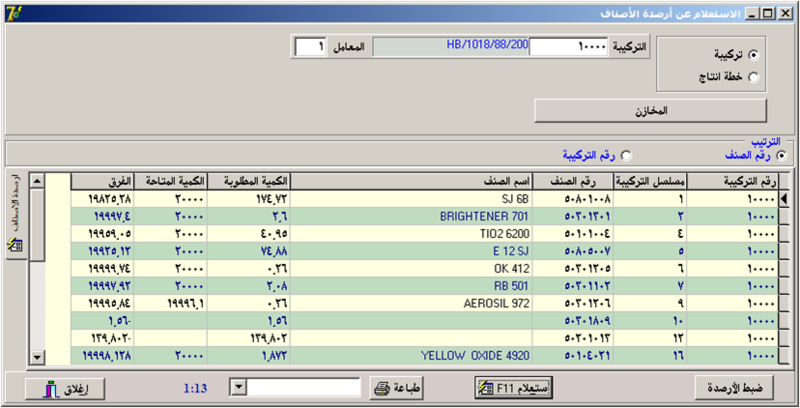 The system provides a lot of queries to facilitate and control work. 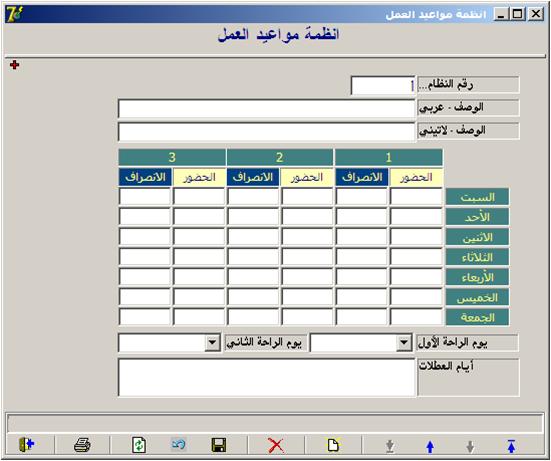 These jobs are available in all system screens and vary according to each screen. The system provides a complete set of reports and queries about job orders, fulfillment liability, products and production rates, pursuing action, and held back, deviation rates in times and cost and comparing the virtual and actual costs. 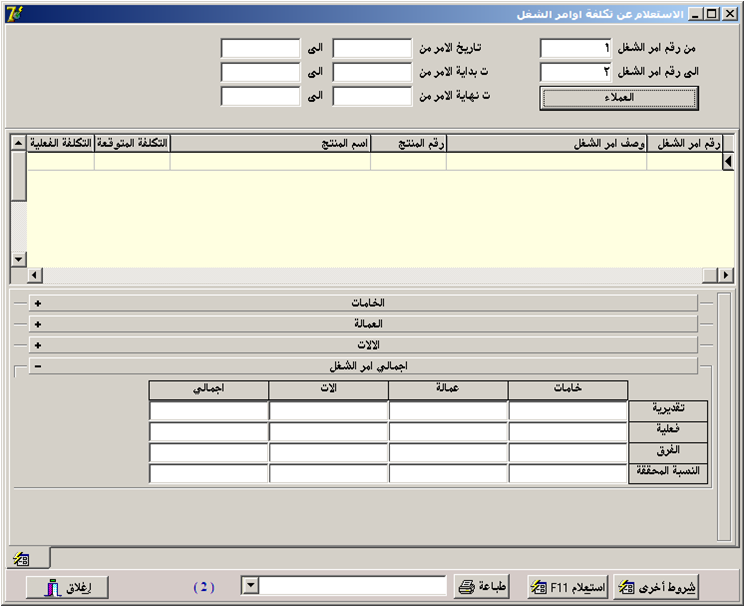 Ability to issue unlimited number of reports in the a customizable format and content. 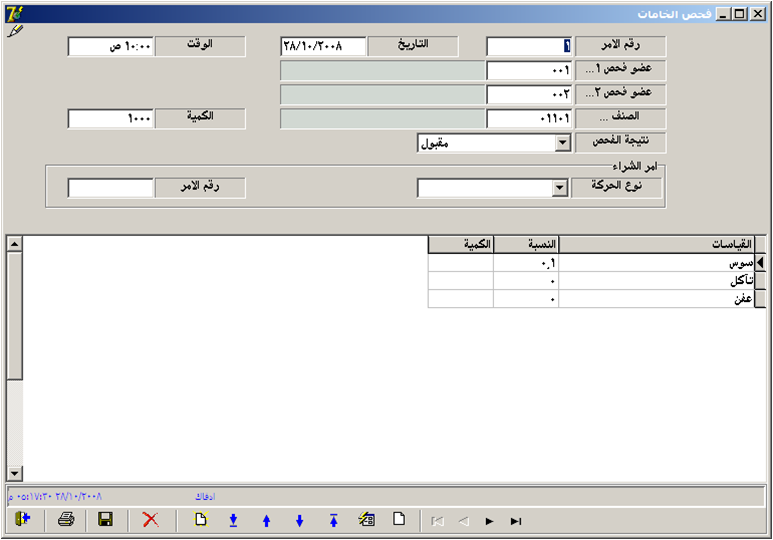 An efficient report builder allowing data to be exported or imported from MS Excel and many other data file types. Permissions to use and access reports could be granted/revoked to/from system users. 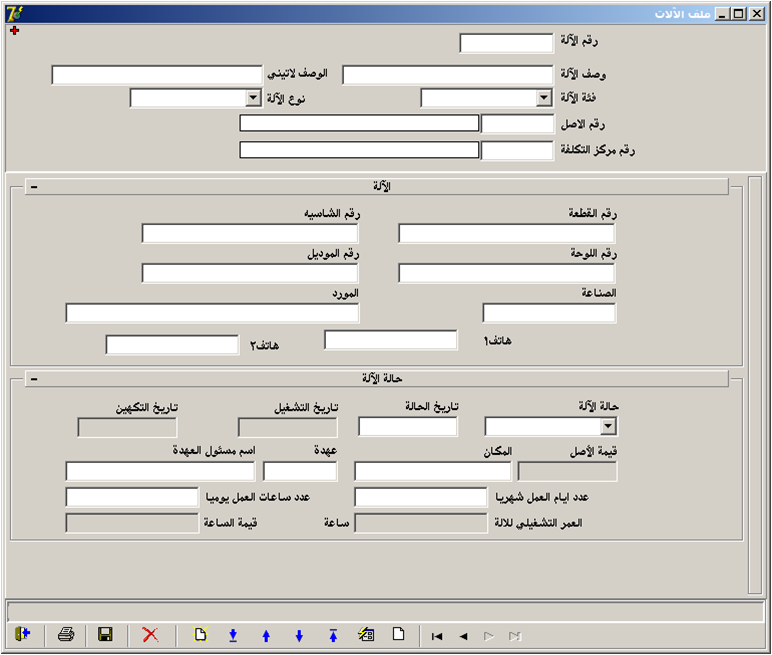 Ability to generate reports based on custom queries that could be bulit using the SQL Tool. 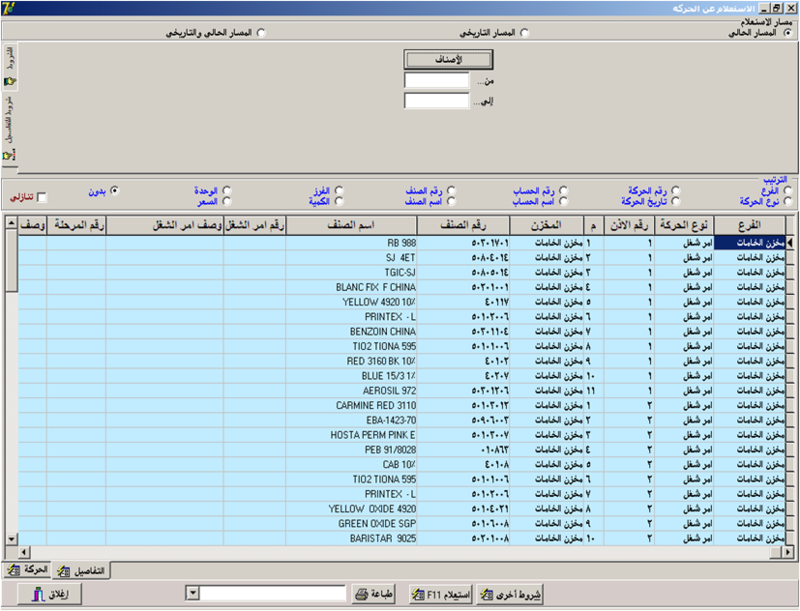 Ability to select specific report columns and analysis elements. Calculate and preview before printing.